I am happy to say that beginning Monday of this week I will spend half as much on oil changes for the rest of my car's life. I was reading an article I posted in the Frugal Living in the News tab of my blog, which is where I post recent articles about living thrifty, mostly from Yahoo! news. Anywho, the article is called "6 Ways Conventional Wisdom Wastes Money" (very intriguing title). #1 of the article caught my eye. #1 - Change your oil every 3,000 miles. This is what your mechanic tells you, this is what the sticker on your car tells you, and this is what conventional wisdom tells you... BUT, this may not be what your owner's manual tells you. And really, we should listen to our car (especially when it saves us money). The article goes on to say that most newer cars do not require an oil change every 3,000 miles because newer car engines and oil have advanced beyond that; in fact most car s only need an oil change every 5-10,000 miles. I already was trying to save money by having my sister's boyfriend change my oil, giving him some cash and still saving some as well. Plus, I was using synthetic oil which supposedly lasts longer than the typical oil change, so I was changing my oil every 5,000 miles, not 3,000. Then I came across this article and decided to consult my manual (who would have thought?). My car isn't that that new, it's a 2000, but I figured I'd check it out anyway. And walah! 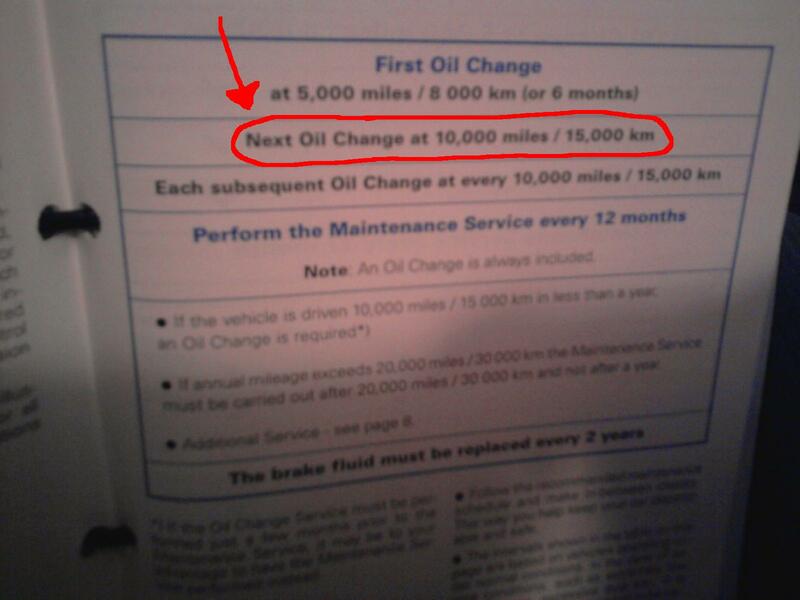 My owners manual actually says change your oil every 10,000 miles!!! I feel a little silly for not realizing this early, but I just assumed 3,000 was standard for every car. Now, I can change my car's oil HALF as much as I did before which is half off! So, be sure to go out to your car, find your owner's manual and make sure that you are not over-changing your oil. Who knows, you may save as much as cash I will! 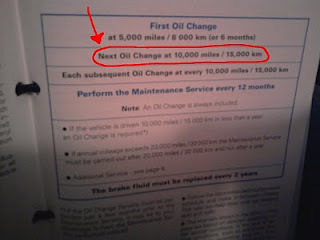 Two additional tips: 1- do not assume your car can go more than 3,000 miles without an oil change before first consulting your manual. 2- if you can change your oil less frequently, you should still check your oil levels periodically and add more as necessary.